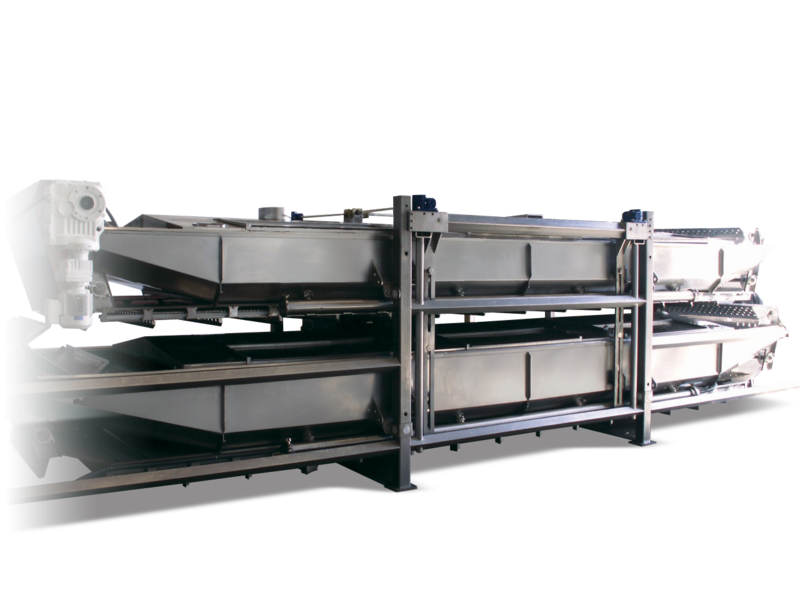 Our Double-Zone AquaFlow Pasteurizer expands both the capacity and the flexibility of your product line. This machine allows you to pasteurize two times the deli products as our Mini AquaFlow. Alternatively, you could use one tank for hot pasteurization and another tank to immediately cool the product. This increases efficiency and safety while decreasing handling. Our Aquaflow Water Pasteurizers are installed in facilities around the world to post-package pasteurize a variety of products ranging from hot dogs to liquid eggs. Using a combination of technologies that incorporate steam injection, water agitation, and recirculation, products can be pasteurized with precise temperature control. 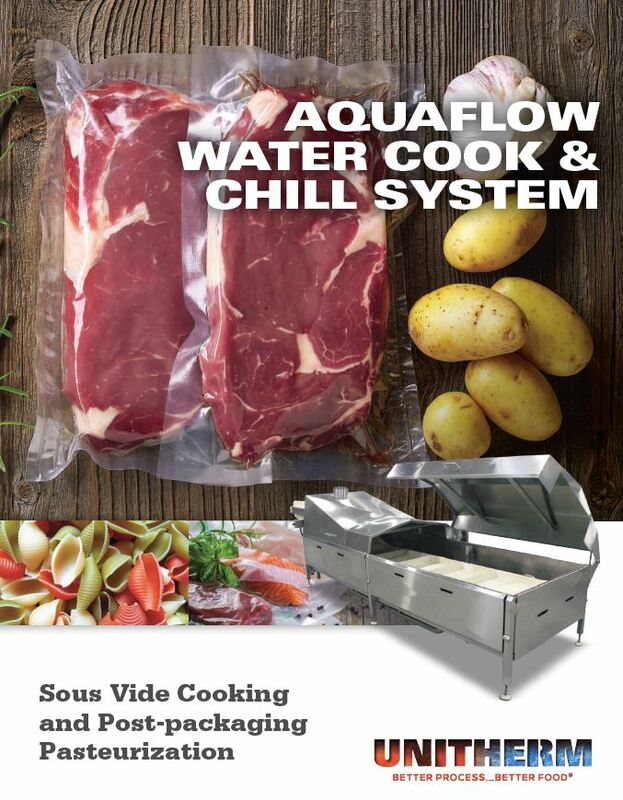 The Aquaflow gently carries the product on a flighted conveyor through a recipe driven heating and chilling process. Maximize throughput with minimal throughput with a fully customizable stacked tank design.